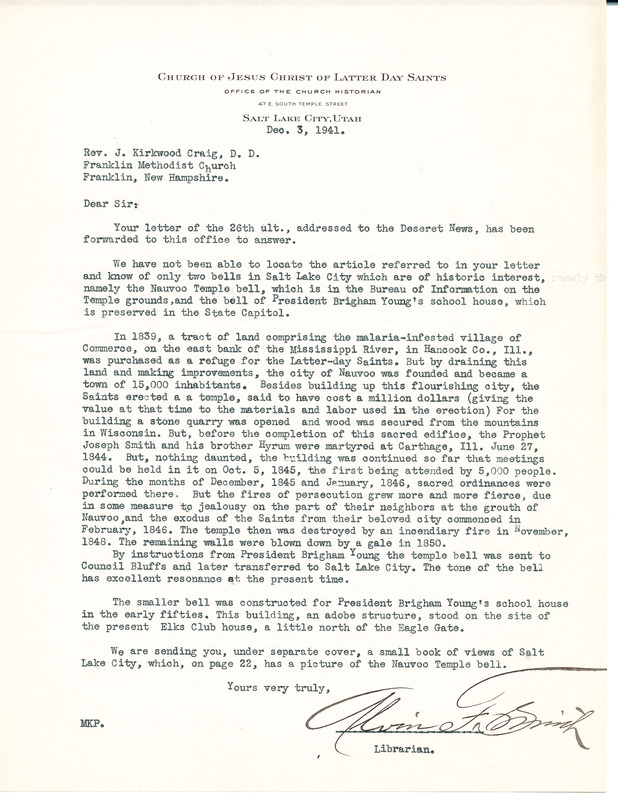 Letter from Alvin F. Smith to J. Kirkwood Craig, related to Craig's search for information about the Church's missing bell. Smith relates that there are two bells in possession of the Church of Jesus Christ Latter-day Saints, one of which came from Nauvoo, Illinois. Alvin Smith was a Librarian for his Church, in Salt Lake City, Utah. 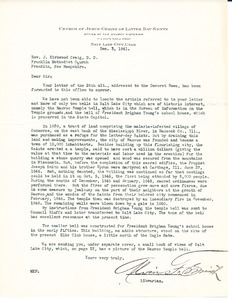 Smith, Alvin F., “1941 Letter from Alvin F. Smith to Rev. J. Kirkwood Craig,” Iowa City Public Library, accessed April 24, 2019, http://history.icpl.org/items/show/2102.